Pierce Leslie Bungalow, a charming mansion was the office of Pierce Leslie & Co., coffee merchants, founded in 1862. 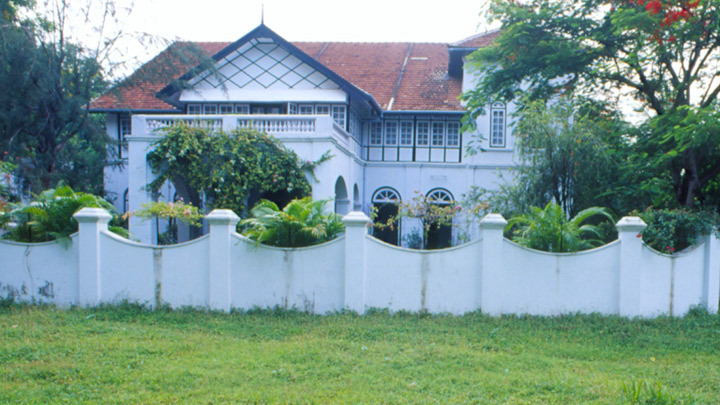 A representative of the Fort Kochi colonial bungalow, this building reflects Portuguese, Dutch and local influences. Characteristic features are wood panels that form the roof of the ground floor, arched doorways, carved doors and sprawling rooms. Waterfront verandahs are an added attraction.